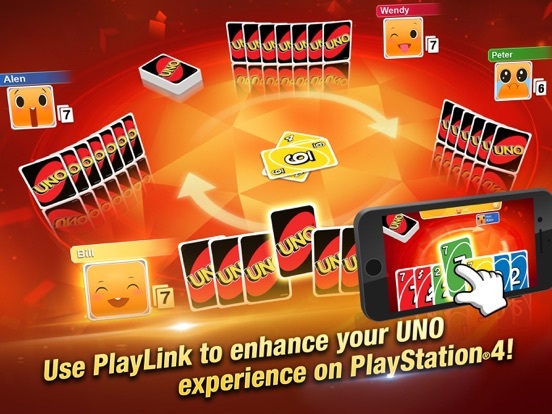 UNO PlayLink is the companion app you need to enhanced your UNO experience on PlayStation®4! 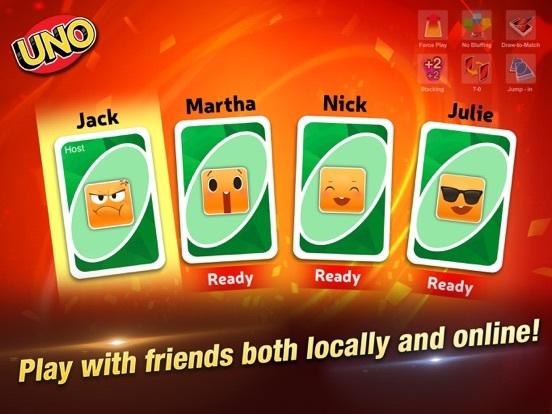 You can now play against up to 3 friends locally and enjoy the fun of the original rules of UNO. 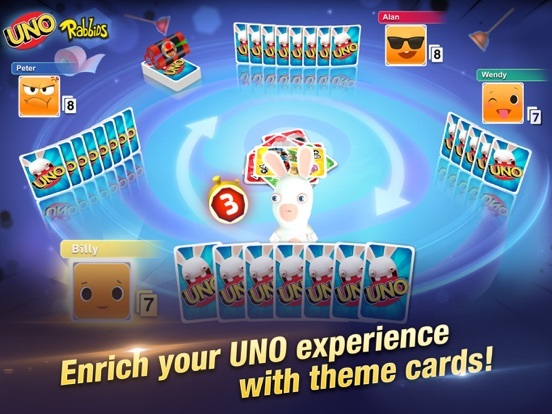 Race against others to empty your hand before everyone else in Classic Play and customize your experience with a variety of House Rules and match settings to ensure you and your friends never play the same game twice! 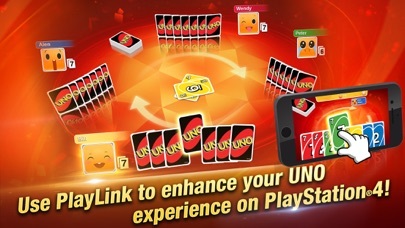 Use this app to conceal your hand as you play UNO on PlayStation®4 with up to 3 friends. 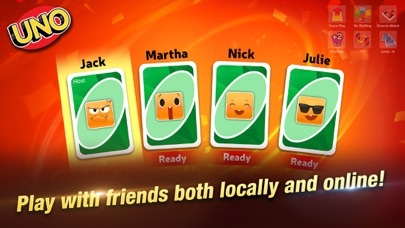 You can team up with a friend or play against each other. 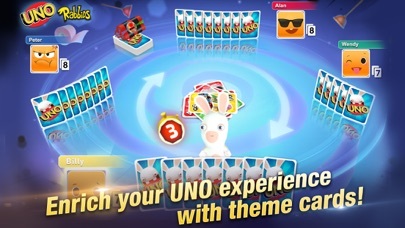 The app also turns your smartphone into a controller. 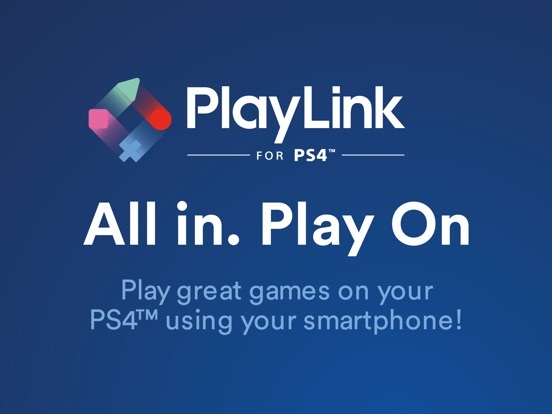 Make sure your PS4TM system is connected to the same WI-FI network as your mobile device and follow the in-app instructions to connect. 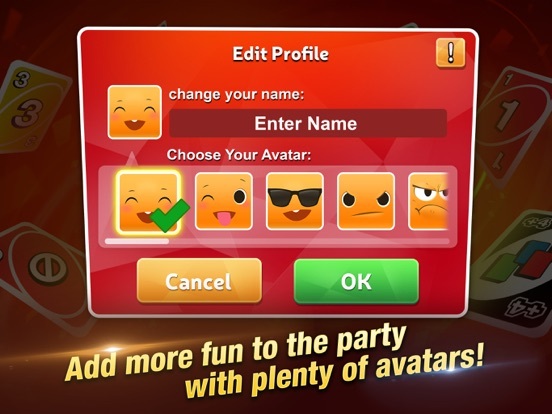 English, French, German, Italian, Spanish, Dutch, Russian, Portuguese, Japanese, Traditional Chinese, Simplified Chinese. 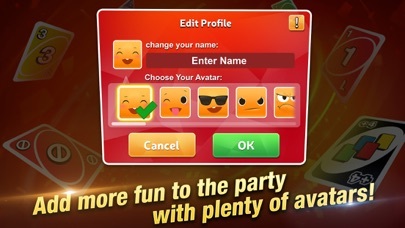 PlayLink titles are all about social gaming that everyone can enjoy. 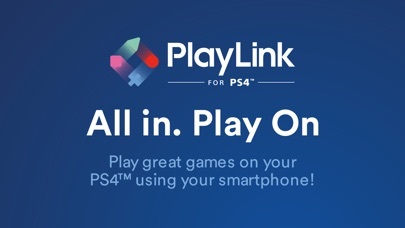 Pop a game into your PS4TM system, pick up your smartphone or tablet, gather around your TV and prepare for a refreshingly different experience – without the need for multiple DUALSHOCK ®4 wireless controllers. Please note: This app acts as a controller. 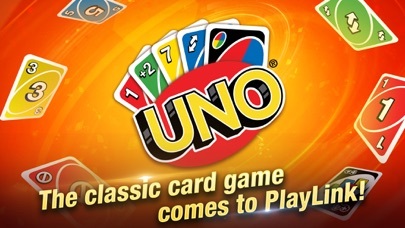 PS4TM system, the UNO PlayLink game, and the UNO PlayLink App are required to play. 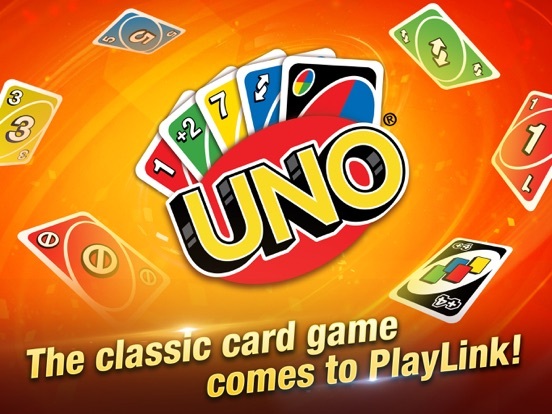 PS4TM system and the UNO PlayLink game for the PS4TM system are sold separately.